It's time to share my Design Team project for CSI: Color, Stories, Inspiration, case file #234! 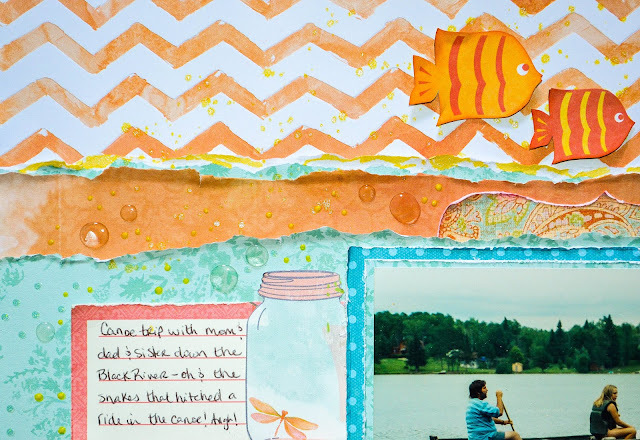 The mid-month challenge for July is full of bright colors and fun inspiration celebrating summer getaways (but you don't have to scrap that theme if you have something else in mind, just be sure to use the colors, evidence, and testimony from the case file). 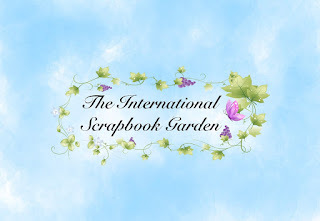 If you haven't joined in on the fun yet, I invite you to come over and play! I'll give a quick run down of the rules for those of you who are new to the CSI challenges, or to scrapbooking challenges in general. Disclaimer [in small print]: Scrapbooking challenges can be addictive. Proceed with extreme caution! 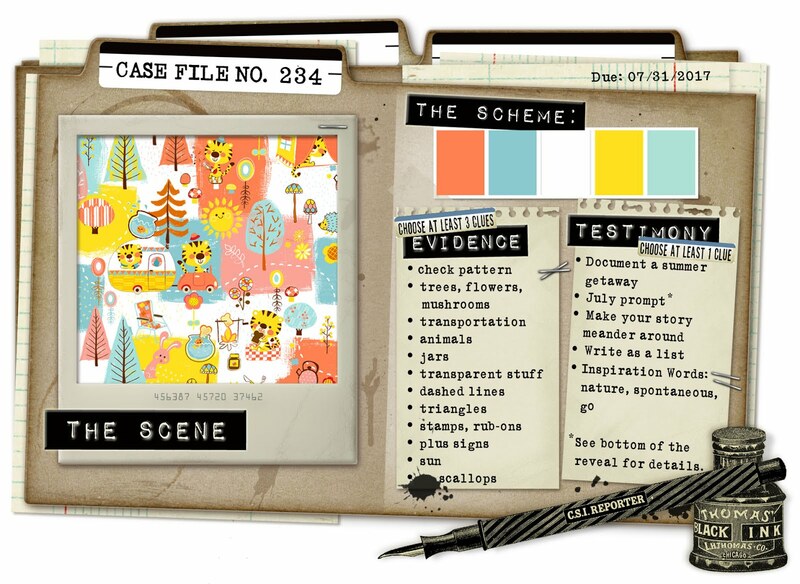 The scene is the inspiration for the case file, which contains a color scheme, clues, and testimony. To complete the challenge, use all five colors, choose THREE of the clues for your layout, and choose one of the journaling prompts (testimony). Here's a link to the Law and Order page (rules) for the rest of the details. 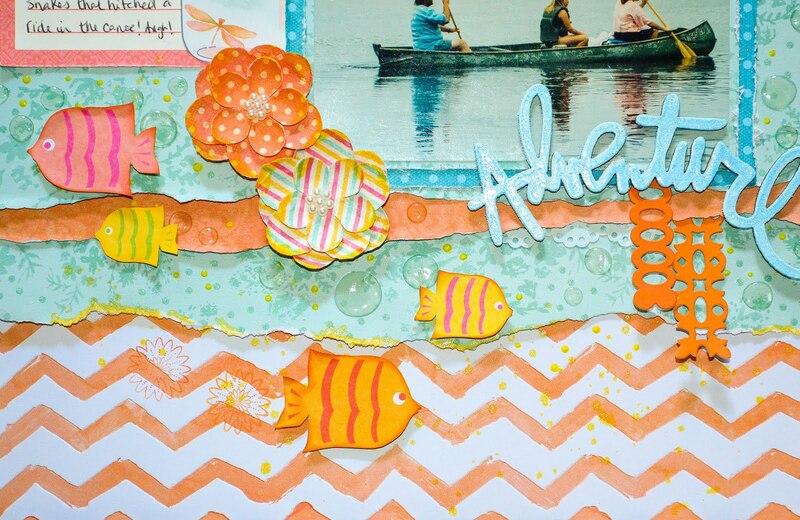 I fussy cut the fish from a paper I've had in my stash for years, and added "bubbles" by using Glossy Accents. My testimony was about a summer trip we took, canoeing down the Black River in Wisconsin (and how we had a family of snakes join us in one of the canoes!). I always refer to my dad as the adventurer because no matter what he did, it always turned into an adventure, so Heidi Swapp's wood die cut "Adventure" was the perfect title. I fussy cut the jar from BoBunny's Butterfly Kisses paper. I hope you get a chance to join in on this challenge (and have the chance to win some fabulous prizes!). 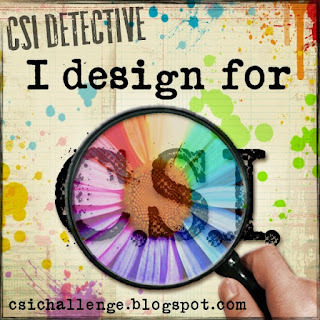 Head on over to the CSI blog and check out the rest of the Design Team's projects, then get out your paper and scissors! Oh Carrie - what a wonderful family photo!!! You always hit those challenges spot on! And your disclaimer (in small print) just made me crack up!!! I almost fell out of my chair! Your sense of humor is delightful! I really love how you fussy cut those fishies and you always make the most fabulous bubbles in the world with glossy accents!!! I love this page! Sure made me smile! Carrie, this is fantastic! The torn layers add so much interest and depth. Love the bubbles you made, and how cute and perfect are those fish. The jar is a perfect embellishment here. P.S. Thank you for making that challenge round-up!